Forget 48. Theresa May has a new magic number. The Prime Minister needs a majority in the House of Commons to pass her Brexit deal. 318 votes in her favour will see her deal backed by Parliament and her vision of Brexit enacted from March 2019 onwards. However, more than 90 of her own MPs are set to oppose her having publicly denounced her proposal. Government whips have two weeks to change their minds - with the meaningful vote pencilled in for the week of December 10. Theresa May is continually warning her MPs - to whom she denied a ‘free’ (or unforced) vote - that derailing her plan could result in no deal. Do MPs with thin majorities want to go back to their constituencies and sell the uncertainty of a no deal exit from the EU? That’s the argument the PM is making. May also has the power of patronage. She already gave a knighthood to one Tory backbencher - ostensibly in return for support (John Hayes later reneged and said he would vote against the deal). Next year’s spending review could be impacted by this whipping process - backroom deals over new bypasses are possible as MPs strike deals with their own side. It’s clear the government has set out its course firmly and will have to attempt to persuade some rebels to peel off. The Whips Office has always considered the ‘weak’ end of the European Research Group of Brexiters ripe for conversion. Parliamentary gridlock makes Downing Street’s task very difficult on paper. Labour says it will vote down the deal as it does not meet its six Brexit tests. Jeremy Corbyn could threaten a vote of no confidence in the government if May loses the vote, but he has around 30 of his own rebels to contend with - who may back the PM over allowing any chance of no deal. 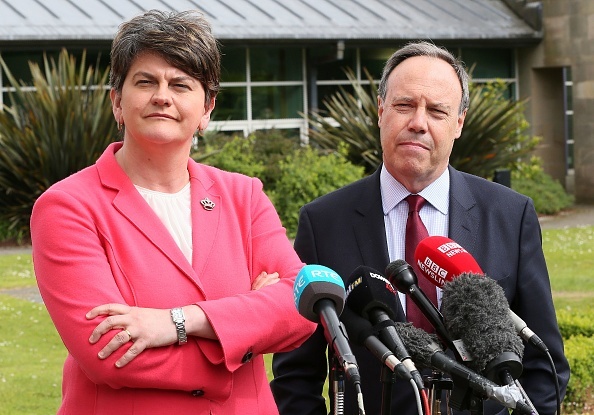 The government’s own bedfellows, the DUP, are also set to vote against the deal. At the DUP conference this weekend. the rhetoric was strongly against the deal, underlining the party’s conviction to scupper it in the Commons. Is there any chance of a last minute reversal from Arlene Foster? Her support would be a huge boon to the government. The SNP and the minor parties all oppose the deal. Meanwhile, Mrs May will continue attempts to build support outside Parliament. Read more: Ann Widdecombe on Brexit: 'We don't need concessions from the EU - just get on with it!" A leaked Number 10 media grid shows the PM will seek the approval of world leaders. A so-called media blitz will see the traditionally press-shy politician become perhaps more visible than ever. The public push is designed to back up the Parliamentary effort. If Theresa May can persuade the electorate, she feels there will be more pressure on MPs to fall in line. If Theresa May can get her deal through the Commons, the UK. will be in essence completely tied to its provisions until the end of the transition period in 2021. Cabinet Brexiters still believe they could modify the text itself via addenda or Parliamentary mechanisms. Theresa May could attempt a concession on this to secure support. The EU continues to say that it considers the deal set in stone. What happens if Theresa May loses the vote? There are several possible paths if the Prime Minister loses the vote. In the immediate aftermath it is likely there would be a significant impact on the financial markets. There would be a media frenzy. The opposition parties would call for the PM to resign and begin real moves to bring down the government. Given this atmosphere, Theresa May could attempt a second vote - hoping the pressure will bring more MPs around to her side. This is a high stakes ploy and only works if she lost an initial vote by a thin margin. If she loses by, say, north of 60 MPs, the chances of bringing them round on a second vote are much lower. At that point Theresa May could use an EU summit in the diary for December 13 to renegotiate. There’s no telling if Brussels would accede to this. 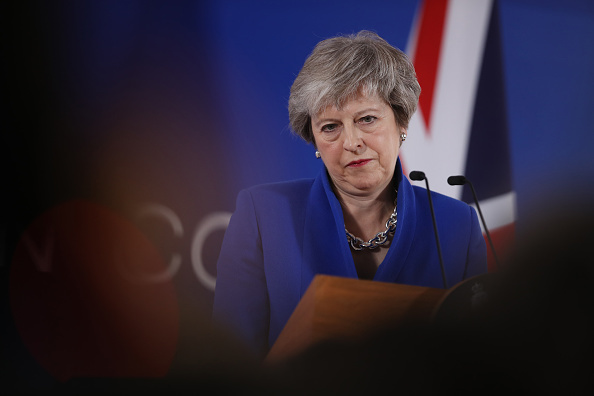 At this point it’s very likely the PM could face another challenge from her backbenchers and be ousted by the 1922 committee. Or the PM could resign. There could be a general election. That would likely take place in February - and would be seen as a referendum on Brexit itself. There would also be a huge opportunity for campaigners to push for a second referendum to halt the Brexit process. Either way, the timetable would have to be scrapped - that would mean reversing Article 50; there remains considerable controversy over whether this is plausible. Or the UK could leave with no deal - but there is no Parliamentary backing for this either. To one government source, this “feels much too much like a game of roulette”. Theresa May has spun the wheel.